DTube IPFS full community node contest! DTube IPFS public community node contest! In order for @DTube to be truly decentralized, a strong community node network must be established. A single organization cannot store/stream the masses of videos on DTube efficiently. This is a contest where the top 5 get rewarded in SBD/UPVOTES for operating a public IPFS gateway/storage node. Public gateway for video streaming, storage is solely for data storage (obviously). We are looking for community nodes to distribute the load from dtube. This is also going to be the kick starter group for future projects. Must be in contact through discord. P2P port must be port forwarded/no firewall. Public node. Must at least 25GB for node. Either for gateway caching or storage. Must have a steem account with a decent amount of activity. Unless deemed otherwise. Any malicious activity will result in a blacklist/flagging. 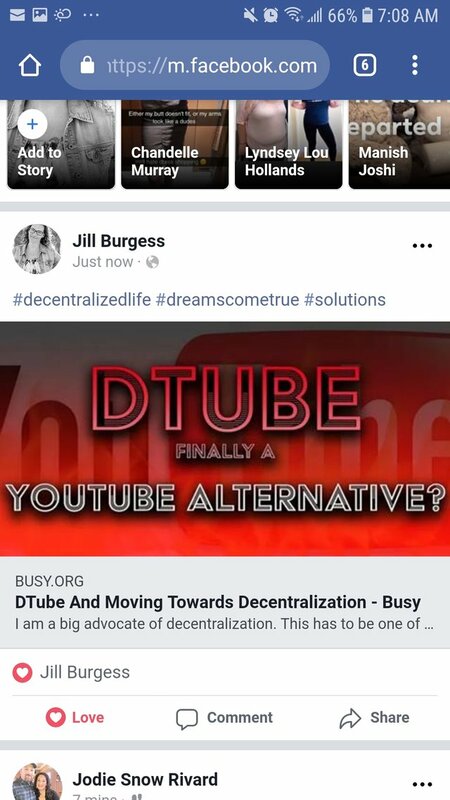 Disqualification from all future DTube network activities. IPFS node is recommended to bootstrap other community peers/have scripts that keep the connection always connected to other nodes. We will help setup the node through every step. Permanente backend storage system. Not entirely completed. Once ready hosters will be alerted. A domain, HTTPS support. Domain will be provided, such as node1.dtube.network. By pointing the domain to your server IP. Our domains use cloudflare. Join onelovedtube or dtube discord.. Talk to either @graylan, @techcoderx or me to get setup. The guide below is for Linux or Mac, we can guide you if you're using windows. You will still need to join the discord for you to participate/setup help (once we have proper management software). We still recommend operating an IPFS node regardless of whether you decide to participate or not. Requires special software in order to become a storage node. It is recommended to configure IPFS before preceeding as default IPFS settings cause issues with high resource usage. screen -d -m "ipfs daemon --enable-pubsub-experiment"
recommended to use keepalive script for keeping other dtube network/community nodes connected. Only need to run once. Awesome! , i'm in this! Great idea. I’ve already started setting mine up. I have a fast server and fast internet. Is HDD OK for the video storage or does it need SSD? How to figure out if a Contest isn't a set up? Upvoting your own comments isn't a good way. Makes you look bad. Lucky me I don't care what people say about me. What do you mean? All the software being used is open source. Thank you brother 💪 likewise! Thank you @nathanmars. @emaferice already joined the @dtube community and will upload multiple videos every week. We are interested in hosting a full node but need to use our extra money to acquire a better stake in Steem first. You are leading by example. Great job !!! Resteeming it while I consider it. Can't do it with a locally hosted server so would have to rent. Either way, good idea. It can be done locally or with a rented box. If local , you just have to forward your Port to the computer/device. @vaultec will this run on 1gb of Ram on the VPS? I can get 25GB node spun up. It should run alright, biggest issue is cpu slowing down transfers... I do recommend higher storage usage as videos are quite large. @vaultec how much storage do you recommend? If 25GB may not be enough? Probably around 50-100gb atleast, video data is large. You can buy 2tb cloud servers for decently cheap prices. ($10 per month). Just some info. I am very interested in being a part of this @vaultec @graylan @nathanmars @onelovedtube @dtube and it will be a part of @emaferice's Dtube efforts. I am not ready yet, since we only have a 2,000 SP stake right now, and Steem is still low - all of our family's extra funds (i.e. money) is being used to buy more Steem and we hope to accumulate anywhere from 3,000 to 10,000 SP for our family while Steem is in the $0.16 - $1.30 USD range. Once we can acquire the stake we desire, or if Steem passes the threshold of being a proper buying opportunity, we will then use some of our extra funds to run a full node for Dtube. I will also invest in the right hardware since we currently only use a laptop. I am hoping that there is a Google cloud service that I can use since we use Gmail, and I'd like to use one of Google's paid services / products to get access to their Customer Care Service a.k.a. actual people, not just Q&A's. You can use google cloud , although we haven't used it (we personally choose not to support them at this time), we can def try and help you set it up. Excellent post and project!! #WeAreDTube !! I will be spending time each day, for the next month to teach people how to deploy IPFS nodes. Anyone who would like to learn this , please send me a direct message on discord, or tag me in the One Love DTube discord. Is this going on now? I have some spare server power we are not using and can use for a gateway. Probably 100 GB. Hope more nodes improved the uploading of videos for content posting, since it very hard to post on my side of the planet. Must it need a fix IP? IPFS does a good job at handling a dynamic IP. Especially with direct bootstrap peers, it shouldn't cause an issue. Unless you are running a public gateway. Would love to participate and for that thinking of purchase of a great server soon. You can do so with your home connection as well if you have DSL/Cable. Can I use a Raspberry Pi3 with 1TB external HDD running the node? BTW what is the required Internet speed for upload and download? Yes you can, although the bot doesn't pin very well. Any connection will do, ideal is 100mbps, 10mbps or 5mbps works fine. Thank you. I guess I do have that speed. wanted to know this, i like the idea but with my 0.7mbps upload I think has no any sense. A raspberry Pi should work fine. download speeds enough to stream a video. Upload speed should be enough to upload a video in a reasonable amount of time. As long as you have the video stored it shouldn't be an issue. Thank you. I will experiment it when I'm not occupied with current job. Scoring system released, check it out! How do I use the script? Any arguments I need to include? No special arguments needed. Execute like any other shell script.